The 12” Eminence speaker of the Fender Rumble 100 delivers a powerful bass sound with a quick response and a pronounced mid-section. 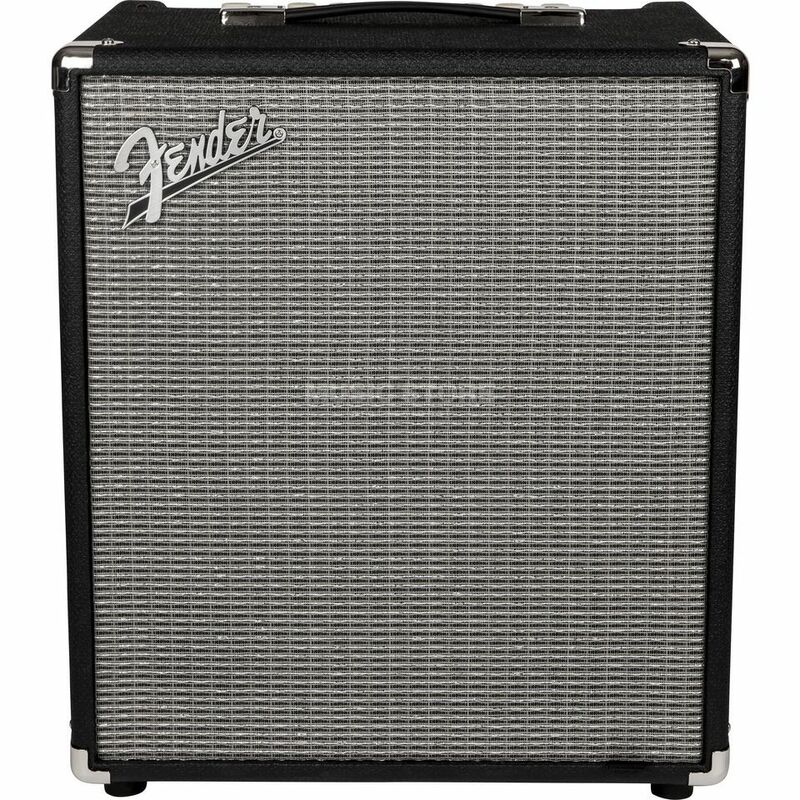 To adapt the sound to match your personal preferences, the Fender Rumble 100 Combo possesses a 4-band equalizer. Additionally, the Vintage, Contour and Bright switches allows various voicings to be applied. The integrated Overdrive delivers a wide spectrum of distortion and gives the bass sound its own personal touch. The Overdrive effect can be controlled remotely with an optional footswitch. The Rumble 100 Combo is equipped with a serial effect loop for integrated external effects. Meanwhile the Aux In makes it possible to connect a MP3 or CD player for black tracks and play-a-longs. Via the symmetrical Line Out, the Fender Rumble 100 Combo can be connected directly to a mixer or recording device. The Ground Lift Switch serves to prevent hum and noise.